Ayam Brand™ one of Malaysia’s favorite household brands with its wide range of food products is partnering Malaysian leading food delivery startup, dahmakan, to bring the rich taste of coconut milk to even more people in the Kuala Lumpur through dahmakan’s healthy, gourmet meal delivery. 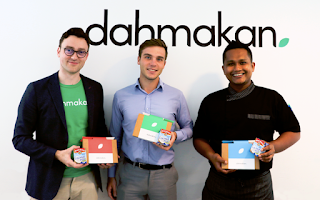 (From left) Mr Jonathan Weins, CEO and Co-founder of dahmakan, Mr Nathan Deverre, Ayam Brand™ Malaysia’s Strategic Marketing Advisor and Executive Chef Riza Ismail at dahmakan’s headquarters. "dahmakan" which in Malay, means "Have you eaten? ", is making daily food delivery an affordable, everyday experience. Their 5* hotel chef team creates healthy lunches and dinners crafted with the finest ingredients which are conveniently delivered to customers’ office or homes within 45mins of ordering. 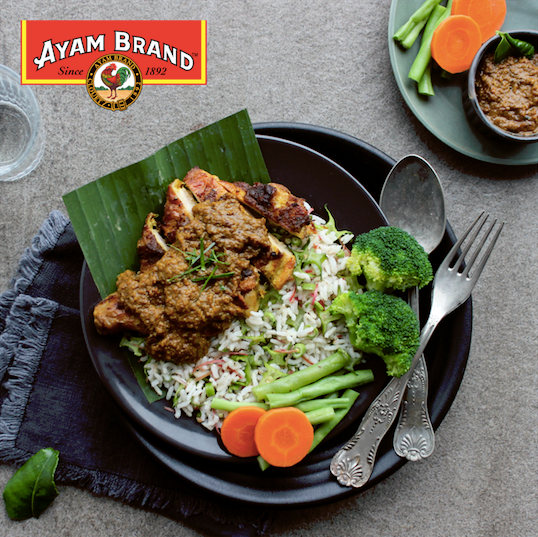 Ayam Brand is synonymous with healthy, MSG and preservative free food. Ayam Brand™ Coconut Milk is also included in dahmakan’s signature Chicken Rendang dish. The collaboration between the two brands is built on their shared values of providing healthy, MSG and preservative free foods. This collaborative effort ensures dahmakan consumers enjoy the taste and health benefits of Ayam Brand™ Coconut Milk in their signature dishes including Chicken Rendang and Chicken Percik. The partnership will run from June 29, 2018 for a three-month period. “Malaysians love food and have very finely-honed taste-buds when it comes to local favourites such as Nasi Lemak, rendang and curry. Food quality is something we take great pride on at dahmakan. We want to make sure we are using the finest ingredients, not compromising on taste and aroma” said Jonathan Weins, CEO and co-founder of dahmakan. “Ayam Brand™ has been championing the goodness, versatility and convenience of our coconut milk for many years. Partnering with dahmakan allows us to wow a new group of users who can appreciate the taste of quality coconut milk in gourmet meals in local cuisine. 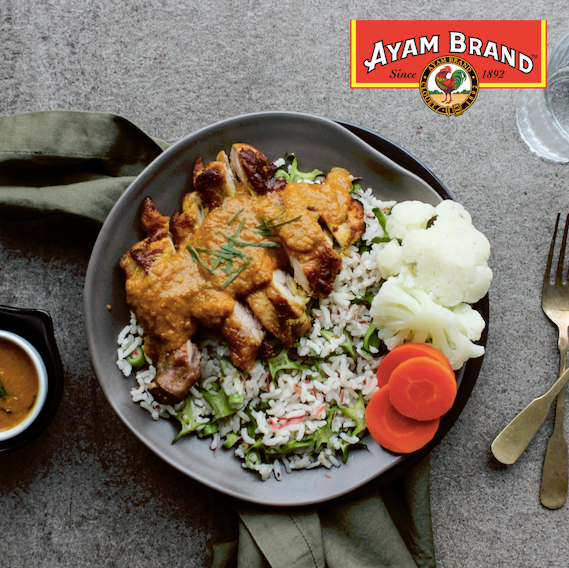 We hope that the deliciousness of the Ayam Brand™ dahmakan meals will motivate them to recreate similar recipes,” Mr Nathan Deverre, Ayam Brand™ Malaysia’s Strategic Marketing Advisor. Malaysians have long loved coconut milk and other coconut products as coconut recorded the highest per capita consumption (PCC) of 17kg per year1, topping the chart of consumption for fruit crops in Malaysia. Ayam Brand™ is among Malaysia’s top-selling coconut milk brands. Try out dahmakan’s new menu with Ayam Brand™ coconut milk and order from their website at https://dahmakan.com/menu with prices ranging from RM18 to RM29 inclusive of delivery. Alternatively, you can also order via their app, downloadable from Google Play Store for Android users and Apple App Store for iOs users. The complete range of Ayam Brand™ healthy and convenient products are available at retail outlets nationwide. Please visit us at http://www.ayambrand.com.my/recipes-video for more ways to enjoy Ayam Brand™ products!